Look who lives in this deep blue sea..........! 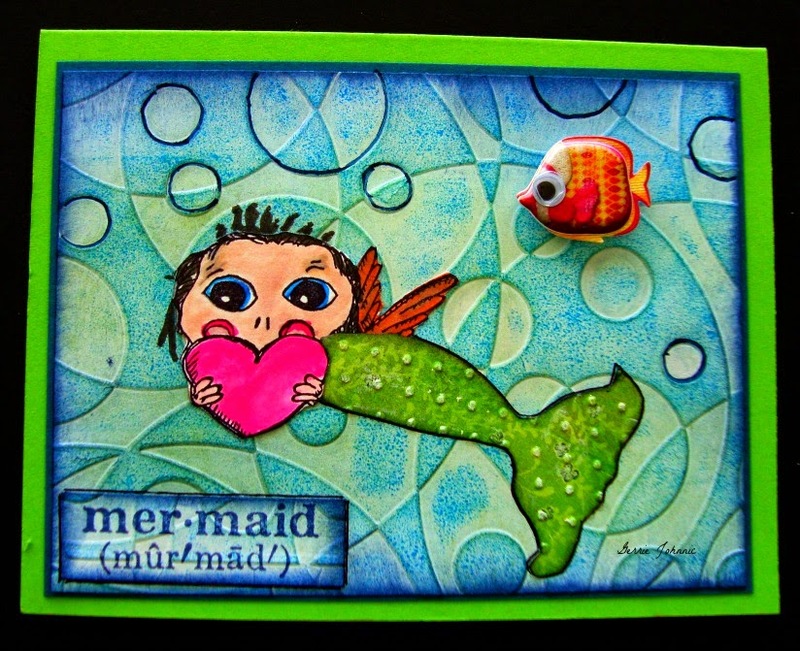 This week the Stampotique Designers Challenge #162 is UNDER THE SEA! Thanks so much Arwen for the fun challenge! I used an embossing folder, flattened it, and then added several colors of blue and green distress inks for the background. Agatha Heart was the perfect image to make into today's mermaid. Isn't she just too cute! 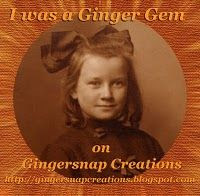 She could be friends for my Pearl (Gerrie, thank you so much for the wonderful words I read about my Pearl canvas). Your world must be one of colour and fun because that is what overflows in your art. Love how you created your background,Gerrie! Simple, yet a great technique. Sweet Agatha Heart beautifully transformed as a mermaid! 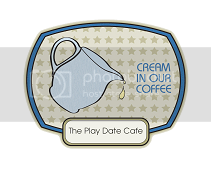 Well done, and thanks for participating in the Stampotique Designers' Challenge this week! This background is so cool! I love the little fishy in the corner, so stinkin' cute! 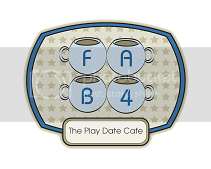 Thanks for joining us at Stampotique Designer's Challenge this week. And this little fish is so cute. 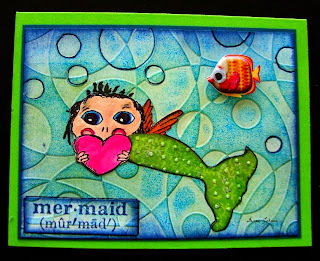 I love the background on this great card- and it works perfectly with your mermaid. Loving the mermaid you created. she is lovely and so is your background love the way you used the embossing folder Gerrie worked perfectly for this image.